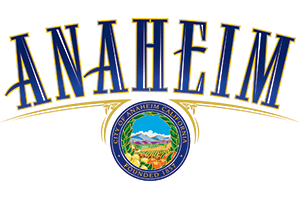 Anaheim is about the enter a new era as Mayor Tait will be replaced and other city council seats are up for election. 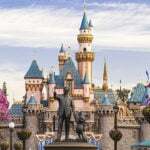 The OC Register asked each candidate the following question: “How can the relationship between Anaheim and its largest employer, Disney, be improved, and should any kind of tax incentives to encourage development be an option?” We are sharing their responses as well as our analysis on how Disney may view the races. For the candidate’s positions on other important issues, see the OC Register’s full questionnaire. One would imagine Disneyland is excited to work with a new mayor after a couple of difficult years working with Mayor Tait. While Disney may never again enjoy the type of partnership they enjoyed under Mayor Pringle, most candidates seem to be willing to have conversations with Disney regarding the future. The one notable exception is probably Cynthia Ward who has long been very critical of Disney’s influence in the city. According to the OC Register, the leading candidates are Ashleigh Aitken, Lorri Galloway and Harry Sidhu. 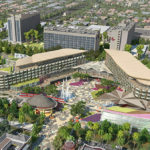 All three seems to be middle-of-the-road when dealing with Disney, which could pave the way for major future development. Disney obviously would not want you to vote for Duane Roberts. While James Vanderbilt has not always voted Disney’s way, he has been a key swing vote and always has reasoned analysis while seeking compromise. Councilmember Moreno has been a thorn in Disney’s side ever since he was elected two years ago. Through votes and political posturing, he has had the most antagonistic view of Disney on the council. 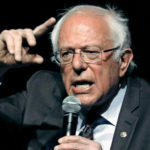 This election is perhaps the clearest with three people on three different points of the spectrum. This councilmember will essentially replace Disney’s biggest ally on the council, Kris Murray, who faced term limits. She, along with other Disney allies Lucille Kring and former Mayor Curt Pringle, have endorsed Trevor O’Neil. He also happened to be endorsed by the OC Register.